Reverse mortgages are available to seniors 62 and over who either have their home paid off or have substantial equity. Certain criteria applies to the home in order to meet HUD’s rules, and although anyone on the loan must be 62 and over, they are available to married couples the same as individuals. The funds available from these FHA insured loans are available in various ways including monthly installments, a lump sum, a line of credit, and as a purchase option. Even with all these funding choices, reverse mortgages are not right for everyone but they are a perfect match for many. When is Reverse Mortgage a good financial strategy? Think of reverse mortgage as a financial tool that turns home equity into cash WITHOUT incurring a loan payment, unlike a traditional mortgage or home equity loan. No repayment is due as long as the borrower is living in the home. This also goes for married couples, in which case no repayment would be due until the last borrower permanently leaves the home. The borrower will still be responsible for some things related to the home, such as property taxes and homeowners insurance. Reverse mortgages are increasing in popularity as more retirement and financial planners are recommending their use as a potential tool. 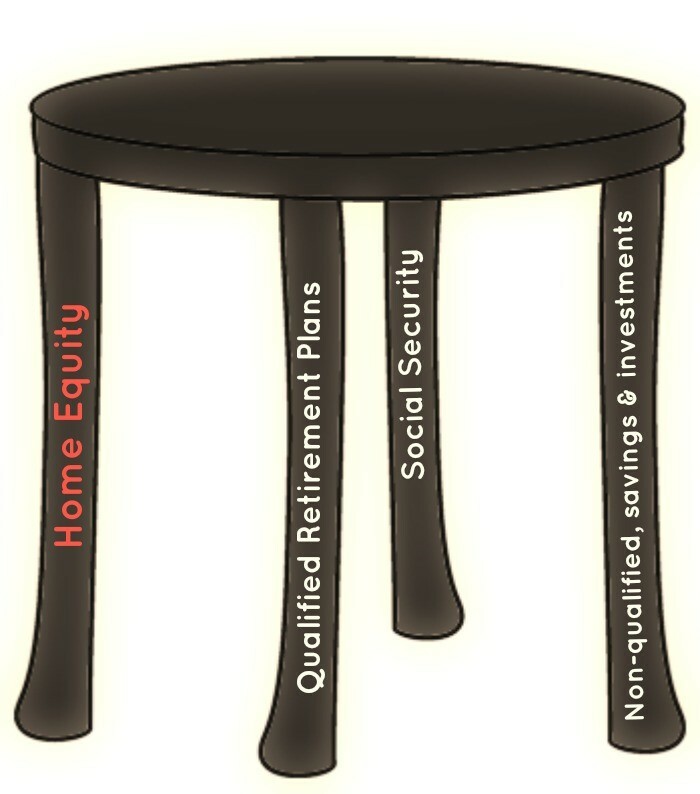 Typically retirement planners have used a three legged stool as an example for their clients – saving, social security, and pensions make up this visual structure. But with changes in the economy and uncertain futures, pensions are disappearing. In this scenario, those who are “house rich, but cash poor” may find using home equity to balance out the stool is a saving grace. In addition, for those secure in all three areas, adding home equity can be used as a safety net or to delay, thus enhance, certain areas. The reverse mortgage industry underwent some changes last year as legislation was passed making these loans a safer option for both borrowers and lenders. As a result, the reputation that once surrounded the industry has drastically improved and their use is being studied by some of the most prominent retirement experts.